It seems that finding something like this on YouTube wasn't easy. Maybe I couldn't find the right keywords to search for, but for all of my searches, I came up empty handed. 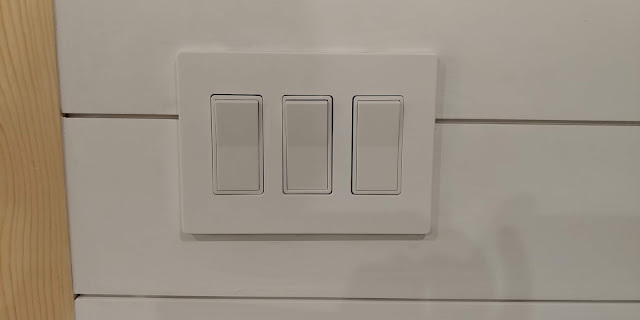 I needed some way to line up three light switches in a row, so that when I put the faceplate on, it all lined up just right. So I came up with a template and decided this was the best way to do this. You can see the holes and lines actually mean something here. 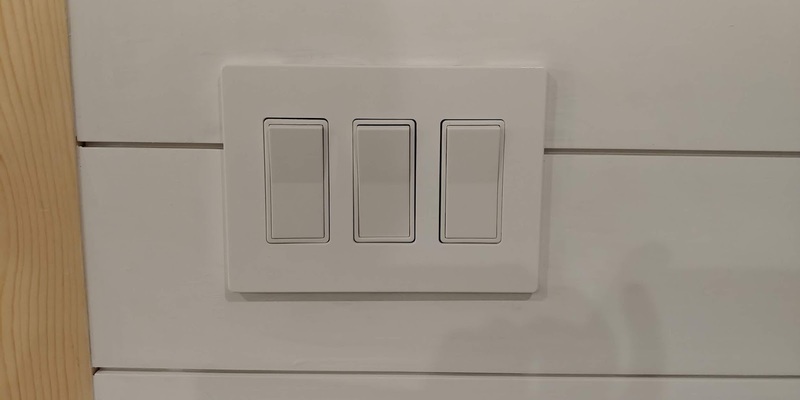 The holes are for where the screw of the faceplate actually line up. And the lines are for my level. 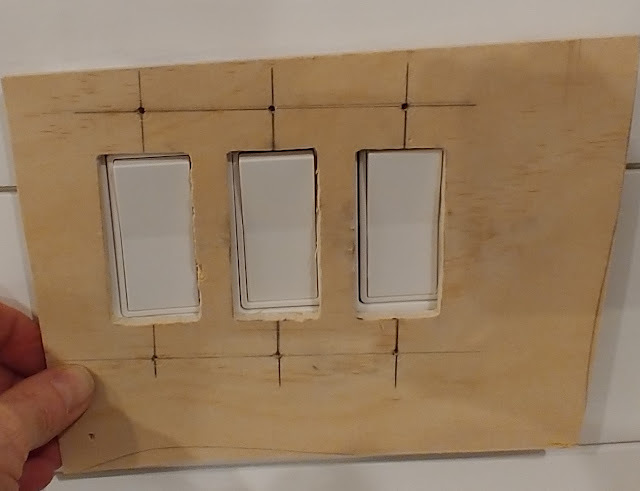 Placing this down, with a level, I was able to drill a hole where the holes in the template are. This helped me determine where the switch would be when I screwed it into the shiplap. Once I was done, the faceplate was easy.